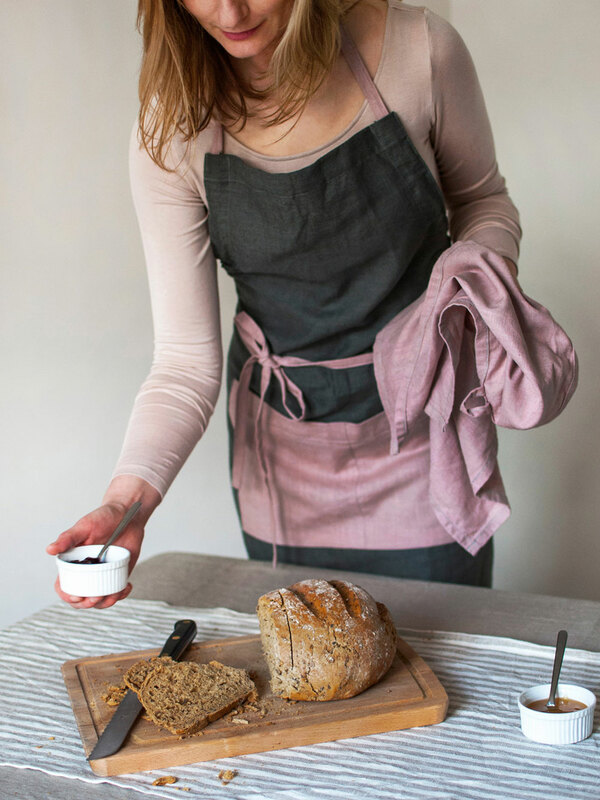 Gosia is a Polish-born and Dublin-based architect, whose passion for design, home décor and natural textiles, have led her to start Gocolinen project at the beginning of 2018. 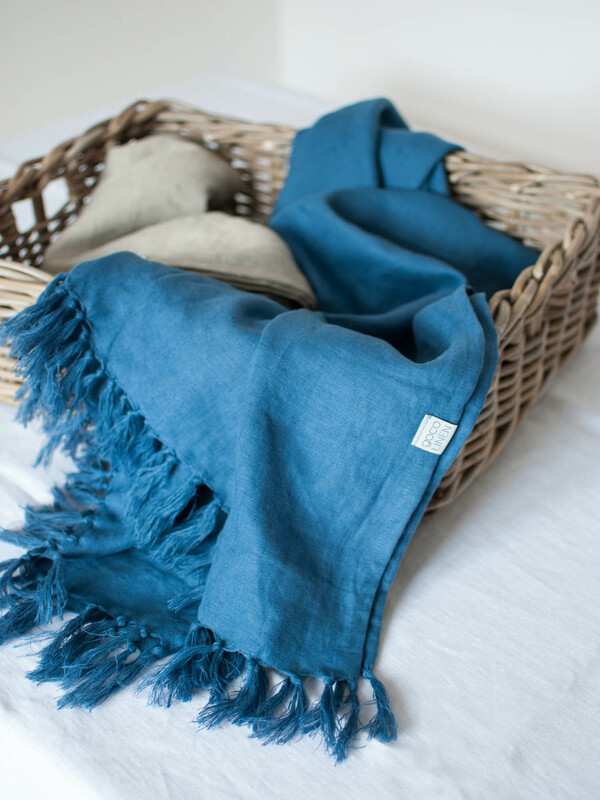 Her desire was to create collection of home décor and lifestyle accessories made from linen that people will love and appreciate for a long time. 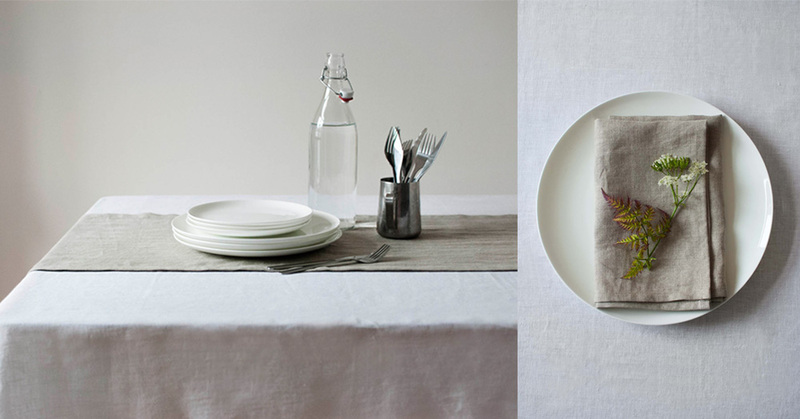 She loves working with linen for its sustainability, durability and effortless yet elegant look. 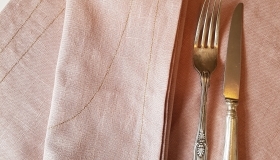 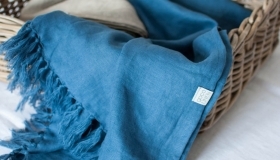 She uses high quality, softened linen that is carefully sourced in EU. 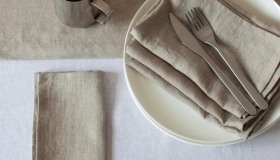 Why did I choose linen? 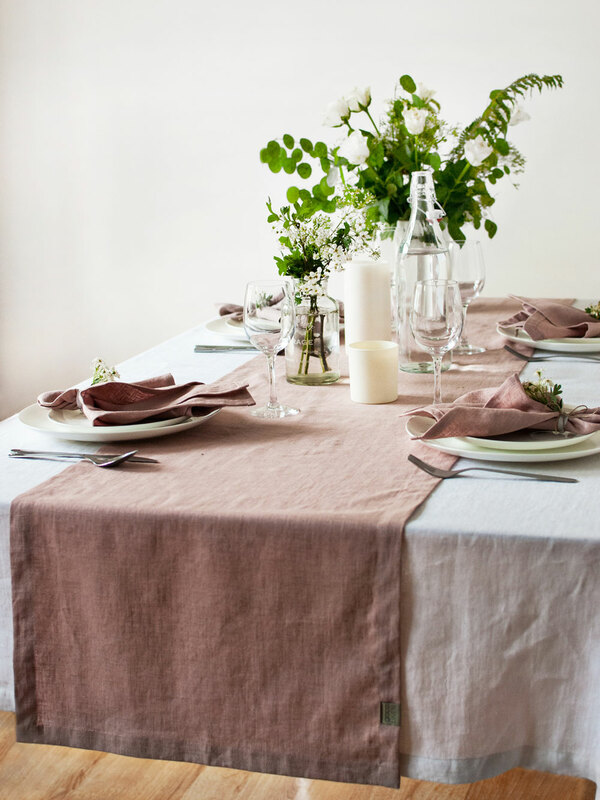 Because linen is a plant-based fabric made from flax which can be grown on rough terrain that is not suitable for food production. 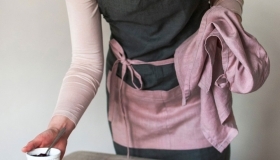 It can be processed without chemicals and with much less water compering to cotton. 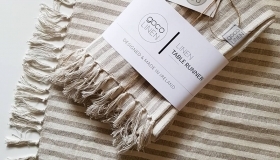 It is a non-waste product of nature therefore all Gocolinen products are fully biodegradable and eco-friendly. 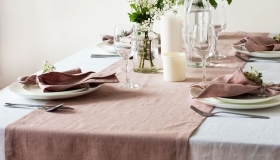 Also, linen fabric has high resistance to friction and stretching, does not electrify, easily absorbs water and therefore is perfect for everyday use. 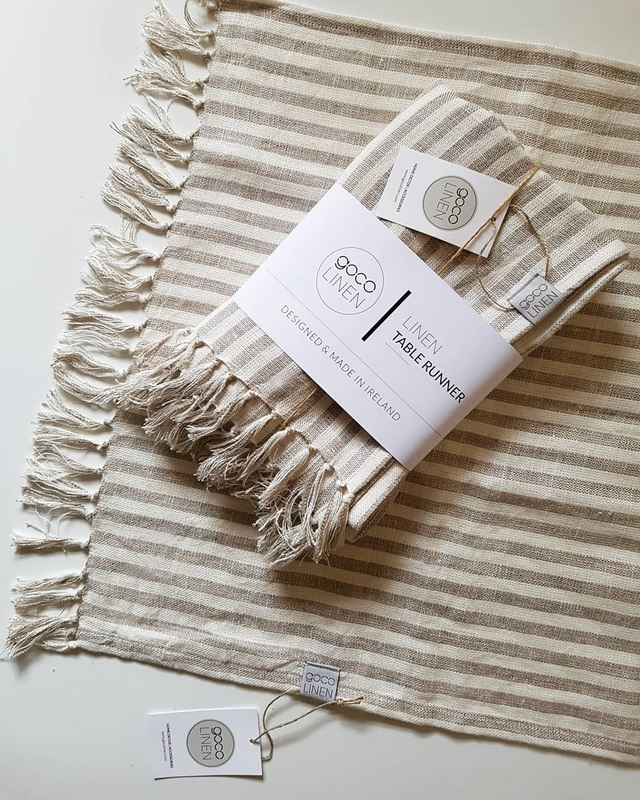 Gocolinen homeware and lifestyle accessories have been designed and locally handcrafted with great precision in a small studio in Dublin. 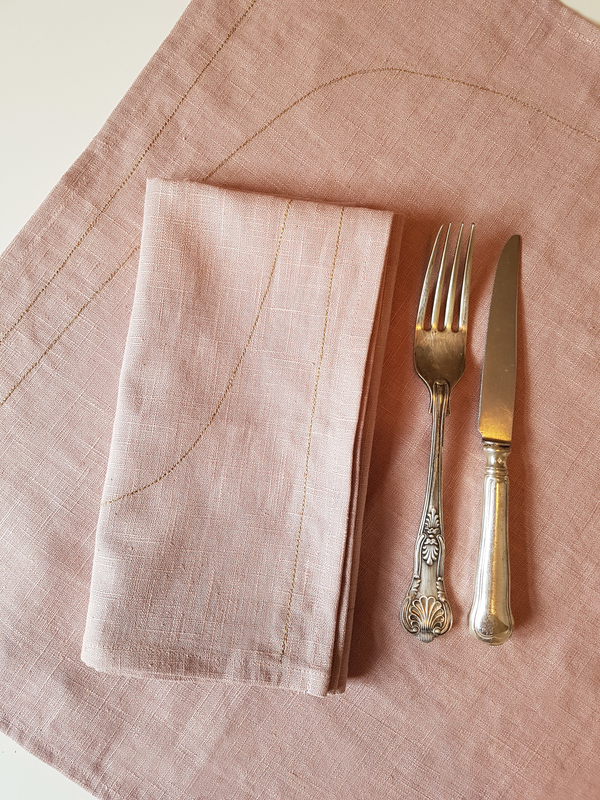 The product range includes: tablecloths, table runners, napkins, placemats, aprons, blankets, pillow cushions, scarves and tote bags. 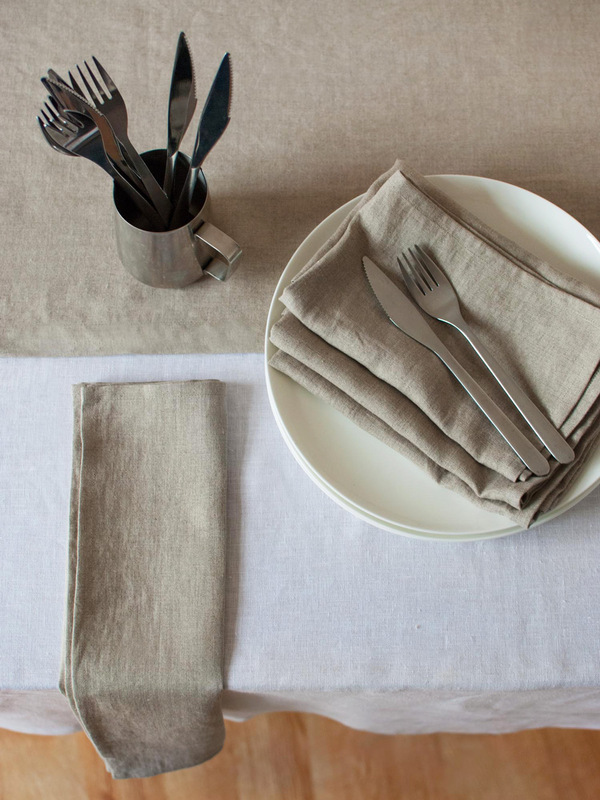 100% linen, natural, earthy colours, informal elegance, simple forms and detail, and contemporary rustic style characterize the creations of Gocolinen.